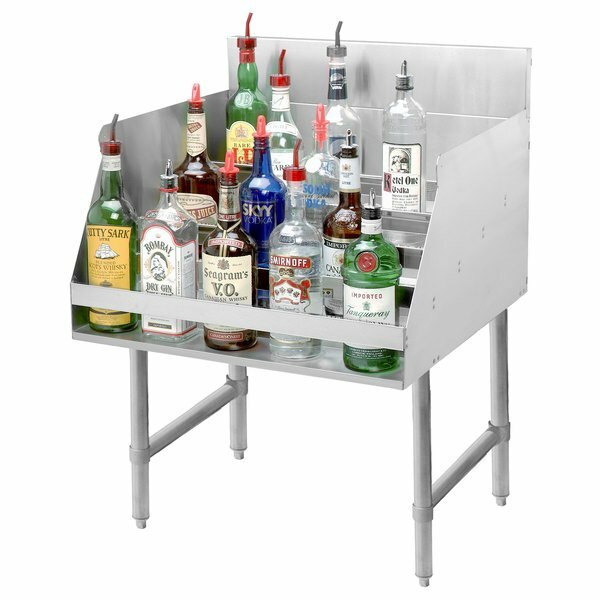 Advance Tabco LD-1812 Stainless Steel Liquor Display Rack - 12" x 23"
Take your beverage presentation up a notch with this innovative Advance Tabco LD-1812 stainless steel liquor display rack. A five-tiered design allows guests and customers to catch a glimpse of all your signature offerings, while integrated steel straps secure each bottle to the step. A 4" backsplash protects the walls and floors around the unit while also keeping the rack easy to clean. Perfect for small or large settings, this rack can accomodate about 15 different bottles at one time. 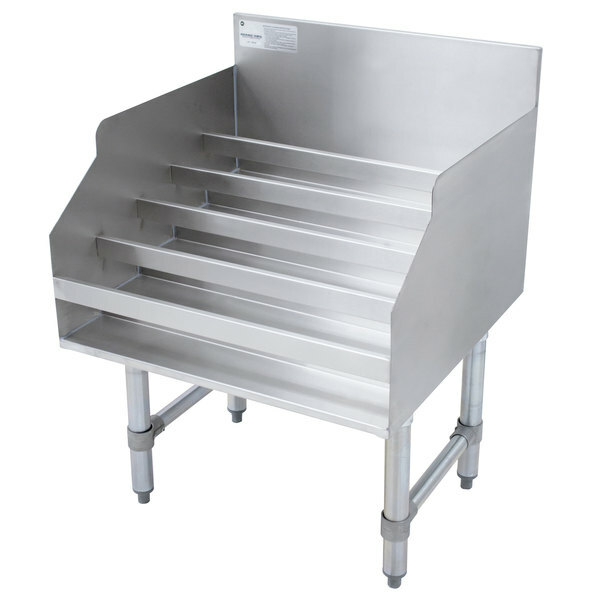 Additionally, adjustable side cross-bracing ensures sturdy operation. The Advance Tabco LD-1812 liquor display rack adds unmistakeable style and will serve as an essential part of any drink-serving application.